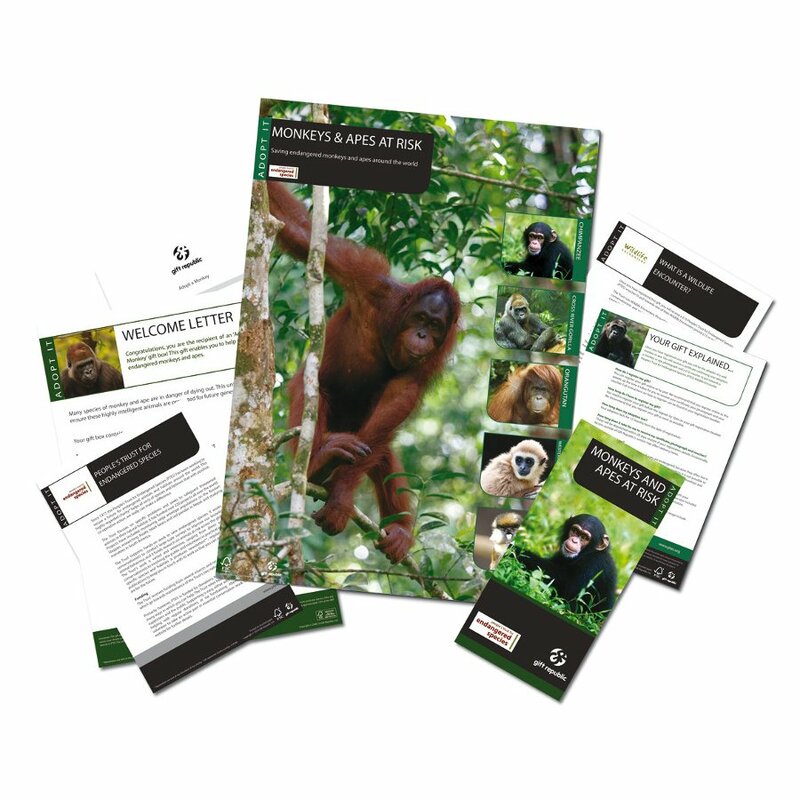 You can support the People’s Trust for Endangered Species (PTES) by adopting a vulnerable species of monkey or ape for 12 months. 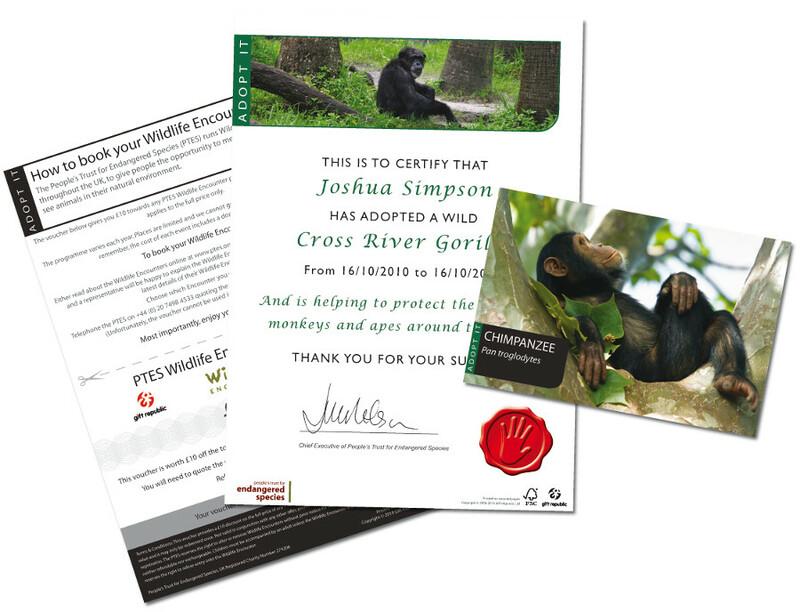 Once you get your pack, register your adoption online or by post and choose from five species including chimpanzee, orang-utan and gorilla, you will then receive a personalised supporter certificate, a colour photograph and a Wildlife Encounter discount voucher to be used within 12 months. 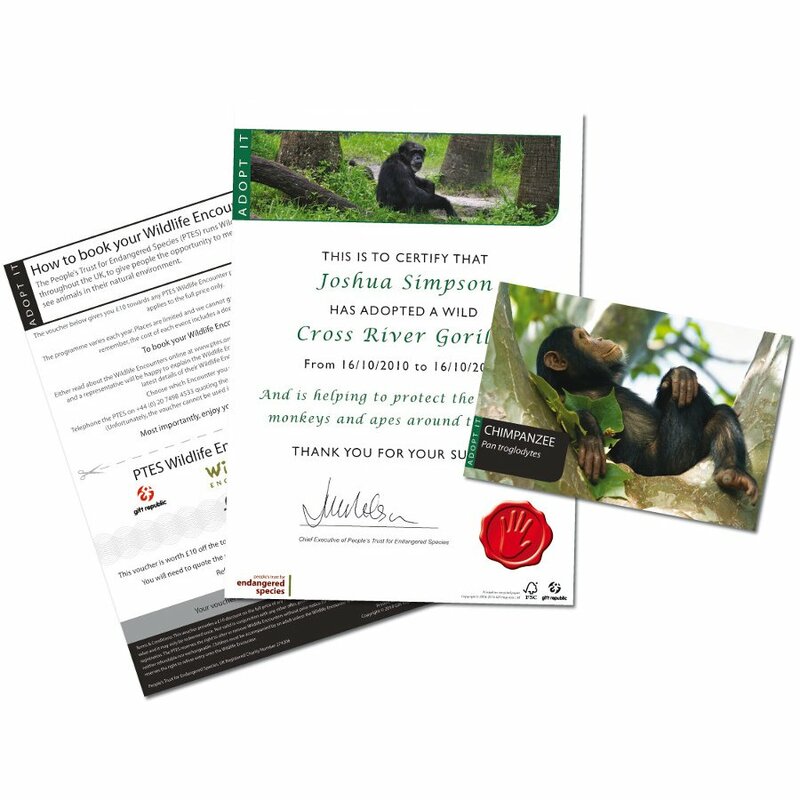 This gift package is produced in association with the People’s Trust for Endangered Species (PTES), UK Registered Charity Number 274206. For every person that registers their gift, approximately 10% of the RRP goes to support the charity. The adoption and PTES voucher are valid for 12 months from the date of registration. This is a novelty gift item and must be regarded as such. 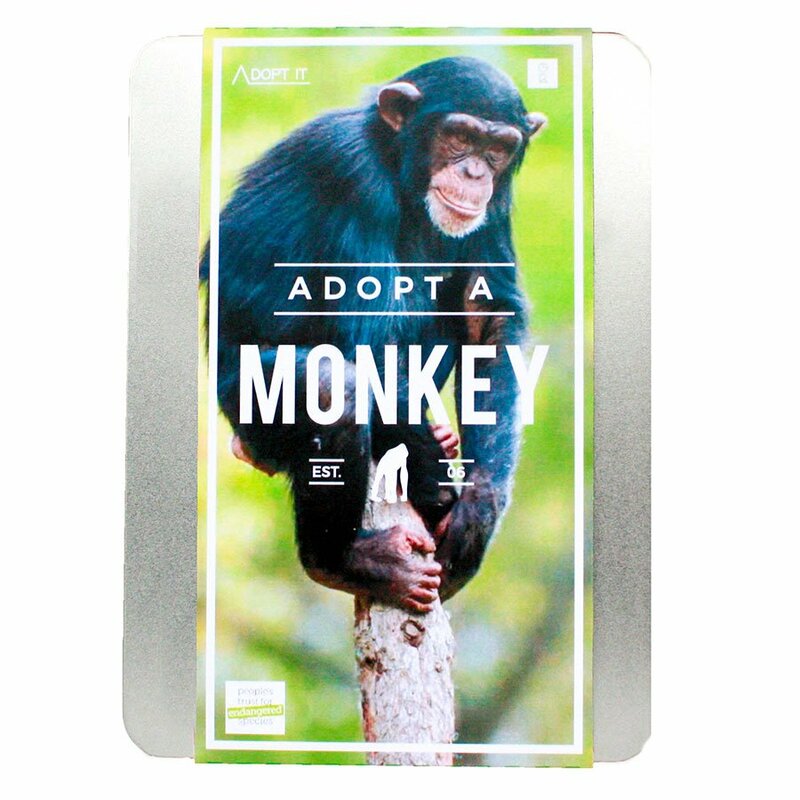 The Adopt a Monkey Gift Pack product ethics are indicated below. To learn more about these product ethics and to see related products, follow the links below. 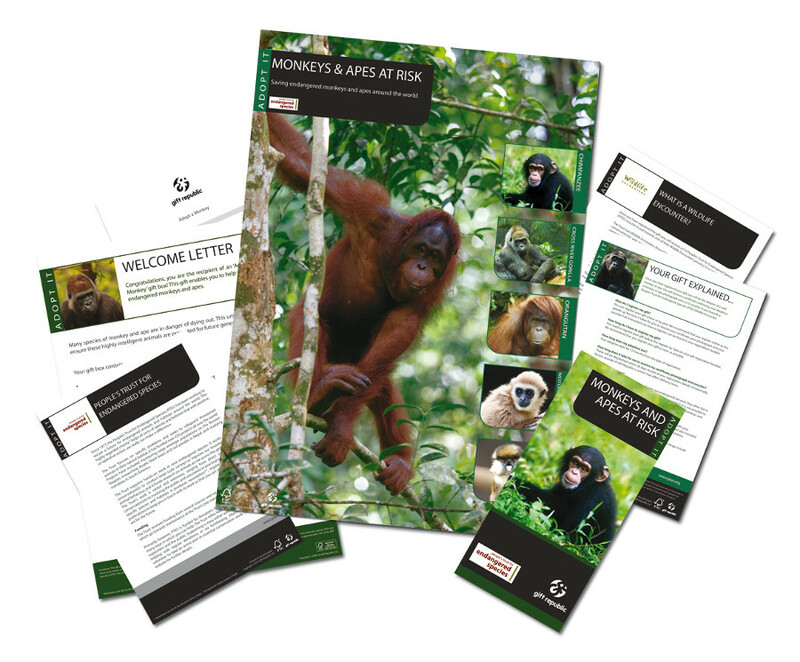 There are currently no questions to display about Adopt a Monkey Gift Pack.